I’ve eaten a lot of meals over the years, yet there are only a few that stand out in my mind as being something truly special. Here’s a list of some of my favourite meals out over the last few years ♥ My favourite dining experiences! I’ve had two sublime meals in Petrus. Both have been with my Mum and Dad, one with the addition of Matt. On each occasion we indulged in the tasting menu – accompanied by some wonderful wines. The wine list is extraordinary – and despite it being possible to spend well into the triple 0’s, they also offer interesting options at the bottom of the scale – and a sommelier who’s well informed and easy to chat to is more than happy to point you in the right direction. This restaurant is everything I love about fine dining, without all the annoying bits that can stop you feeling relaxed. The service is impeccable, yet friendly and relaxed. The food presentation is second to none, and full of flavours I am yet to taste else where. And you don’t leave hungry – even Matt was full come home time! It is also possible to enjoy a set lunch menu without breaking the bank – at £37.50 for three course I can’t think of any reason I would not be making a return visit. Matt & I spent a night here on one of our first holidays together. A beautiful spot hidden away in the snow capped mountains and I think my very favourite on this list. You can read all about our breakfast, lunch and overnight experience here. If that’s not enough to convince you of it’s charms, the fact I am plotting a return for my *whispers* 30th next year should speak mountains! Shredded duck confit….. I shouldn’t have to say anything more! But I will, a tiny bit anyway. This little gem of a french bistro is hidden a few streets across from the popular tourist district of the Champs-Élysée. Yet it is only a relatively short stroll. 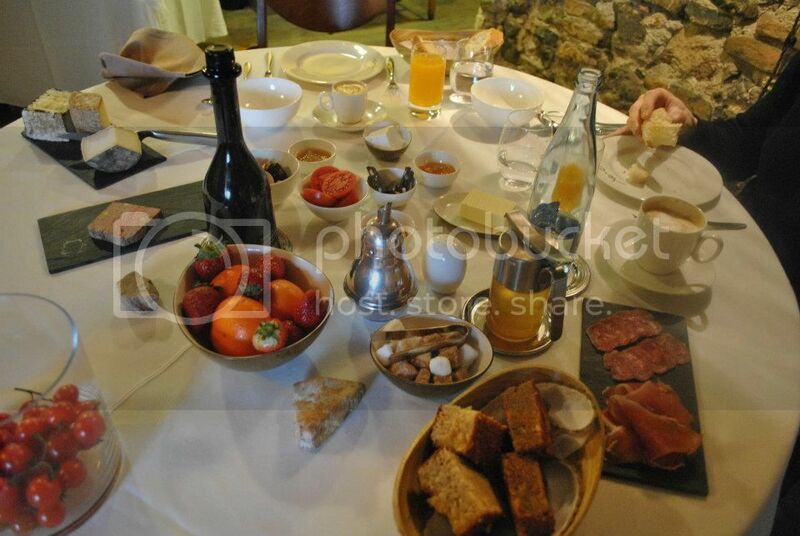 And most certainly worth it, as your lunch will be miles ahead of anything you will find around the Arc de Triomphe. Mum, Dad, Matt and I enjoyed a lunch here to round off our last trip to Paris. And between shredded duck confit and prawn risotto we hardly wanted to go home. Opening 5 days a week, and closed weekends – it is worth organising yourself a little to make sure you can make a lunch stop to Le Trois-Quart. Accompany your meal with a little chilled Chinon and a touch of rugby chat – perfect! I will be visiting again, now I just need to organise another trip to Paris…. Have you been out anywhere that’s felt particularly special? Somewhere that offers the full package? I’d love to know!